At Fovia Office we have a specialist interiors team who’s job it is to help our clients create stylish, productive and flexible workspaces. Badly designed offices and workspaces stunt productivity and well-being and badly designed customer areas can communicate the wrong message about your business. We can offer a vast range of furniture options from traditional to contemporary. From ‘off the shelf’ to bespoke, we can help you create a sense of individuality and make the space work for you. We can design from a blank canvas or work around existing features and make recommendations as to the best solutions for you. 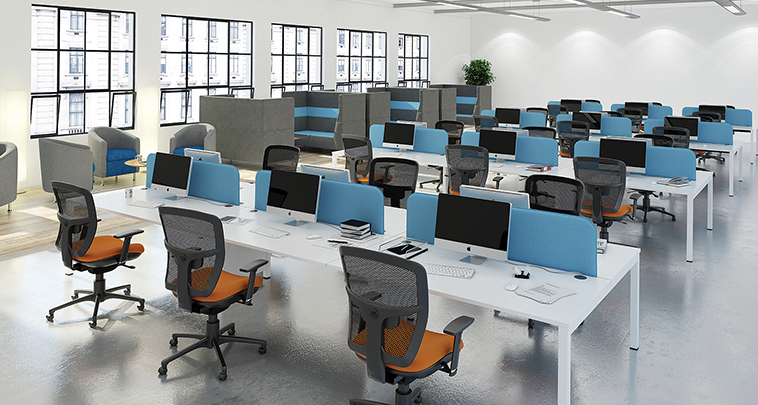 Our team of in-house Fovia Office installers carry out installations throughout the UK making sure you get the workspace you want with the minimum of disruption. We have come across most ‘challenges’ from access problems to trades who have not completed yet, our installers pride themselves on always getting the job done! For more details on our secure shredding service or to request a copy of our brochure, please contact us today.